Pentax Optio W80: tough, shock- and waterproof like no other digital camera! Called the Pentax Optio W80 , the update to the Optio W60 will be more adventure-proof than ever, according to Pentax, and be waterproof, dustproof, coldproof, and now shockproof enough to withstand impact from a fall of more than 3 feet (1 metre), as it plays catch up to Olympus’ successful tough series of cameras. On the tough specs, the Pentax Optio W80 ’s waterproof design withstands depths of up to 5 metres, letting you shoot photos and video for up to 2 hours underwater. On dry land, the rugged, shockproof design protects against drops of up to 1m. That coldproof badge means the camera can to be used in sub-freezing temperatures of 14 degrees Fahrenheit (-10 degrees Celsius). On the camera specs you get 12.1 megapixels, a 5x internal optical zoom (equivalent to 28-140mm), a slim body and a wide angle 28mm lens. There’s also a 2.5-inch LCD screen and HD movie capture capabilities that record resolutions up to 1280 x 720 pixels at full-speed 30fps. There is also fast face detection that sees up to 32 faces in 0.03 seconds, with smile capture and blink detection, for perfect portrait shots. Available in cardinal red, azure blue and gunmetal grey, the Pentax Optio W80 will be available in July 2009 for US $299.95 in the US with an expected UK price of around £170 and is available now for pre-order . LocoRoco 2: Sony’s charming PSP adventure - Rescue the MuiMui! Considering the original LocoRoco stands as one of the best games on PSP – arguably one of the best on any console, in fact – we’re not questioning the arrival of LocoRoco 2. Certainly, the series is among gaming’s most distinctive in terms of a style that has uniqueness stamped all over its Teletubby-bright visuals and diverse nursery rhythm-style chanting tunes. So there should be no disagreement over the fact that LocoRoco 2 offers more of the same. In fact, the starring characters – the charming LocoRoco themselves – remain exactly the same as before. Like its predecessor, LocoRoco 2 gets you to use the PSP’s shoulder buttons to tilt its world left and right to guide a friendly blob through a series of pleasingly colourful cartoon mazes. As before, the blobs sing at intervals, split up to negotiate narrow passageways or swirl away on the wind, but this time you can also commandeer special little vehicles. Its essence is the same, though, and provides a joyously simple and beguiling walk in the park for dabblers, while those who like to court repetitive strain injury will uncover myriad secret tunnels leading to an array of increasingly hard to find collectibles. Appealing in the extreme. If there’s one PSP game you should be playing it’s LocoRoco 2 . Any video game whose charm can intoxicate you more comprehensively than countless shots of Baileys should be considered both compulsive and essential. Get LocoRoco 2 now for less than US $ 20! The Nikon Coolpix S60 is the newest generation of ‘point and snap’ camera, a perfect travel mate! Roughly the same size (though twice as thick) as the revolutionary iPhone, the appearance and ergonomics of Nikon’s Coolpix S60 will be reassuringly familiar to Apple aficionados. While the S60 comes equipped with a somewhat standard feature set, what makes it an easy, fun camera to shoot and show is its intuitive and responsive 3.5-inch touchscreen viewfinder. Some of the features include a massive 10 mega pixel resolution which will enable you to print fantastic quality pictures of up to 16 x 20 inches as well as a 5x optical zoom lens with ‘VR image stabilization’. It has a 3.5 inch high resolution touch panel LCD screen and automatically adjusts the ISO up to 3200. One of the other great things is that you can save to an expandable memory slot in the form of SD/SDHC. The Nikon Coolpix S60 is small enough to slip into a pocket and has a slightly longer than standard 5x zoom lens for this type of camera. This is a very good looking camera and has obviously been built for easy usage with the 20MB of internal memory, SD card expansion slot and JPEG, AVI and WAV formats. The Nikon Coolpix S60 has VR image stabilization which reduces camera shake as well as smile shutter and blink warning which will let you know when a subjects eyes are closed so you can retake the picture. The Nikon Coolpix S60 is inline with a lot of other smaller digital cameras when you increase the ISO rating. The noise levels at ISO 400 are noticeable, but if it’s the only way to get a picture, then it levels are acceptable. We like the macro shot. It is very clear and has great definition. Check the latest price for the Nikon Coolpix S60 ! 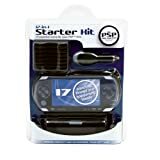 The PSP 17 in 1 Starter Kit includes all the necessary accessories to take your gaming to new levels. A viewing dock, carry case, wrist strap, emergency battery, UMD cases, car charger, ear buds, audio splitter, power data cable, screen guard and cleaning cloth are all included in this extremely convenient bundle. Unbeatable! 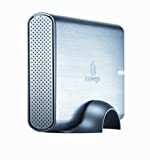 EasyCap USB 2.0 Video Capture Adapter with Video Editor Software for less than 10 bucks ($ 9.95 to be accurate)! So small and easy to connect you’ll be running the EasyCap USB with almost any video source for a wide spectrum of applications ranging from VCR tapes conversion to digital, home security, video editing 101 and a lot more! EasyCap USB USB 2.0 Video Capture Adapter provides a link between a PC and a video device with RCA connector or S-Video connector, such VHS, VCR, DVD, TV, DV, analog camcorder, camera. The adapter is ideal for laptop and desktop computer. By the professional video editing software, you can create many special effects on your video files, or edit your movies. EasyCap USB supports brightness, contrast, hue, and saturation control and capture audio without the sound card. Features support for all Video Formats: DVD+/-R/RW, DVD+/-VR, and DVD-Video. Applying to internet conference / net meeting. Support NTSC, PAL Video format. Include Professional and easy to learn & used video editor software: Ulead Video Studio 8.0 SE DVD. 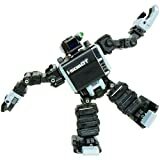 Price is a stunning US $ 9.99! Rock Band Unplugged for PSP: gonna rock ya on the road! Rock Band Unplugged creates a full band experience in the palm of your hand by combining traditional beat match gameplay with key elements from both Rock Band and Rock Band 2, such as overdrive and chords. Your hands are the “peripherals” in Rock Band Unplugged allowing you to take direct control of the lead/bass guitars, drums and vocals. In addition, players can expect a rich Rock Band experience with fully functional modes like World Tour, Band Survival and Warm Up and a robust character creator for full customization! Rock Band Unplugged features over 40 master-recordings including nine brand new, exclusive songs for the PSP system for a limited time! Plus, Rock Band Unplugged includes the first fully-featured in-game store for downloadable content on the PSP system in the North American and European markets, leveraging the PSP system’s wireless capabilities. The in-game store is powered by PlayStation Network, and players can to use their existing PlayStation Network account to purchase tracks, similar to the Rock Band console experience. PSP system owners also have the option of purchasing tracks via PlayStation Store on the PC. Price for Rock Band Unplugged is $39.49, rock on now! Nokia today announced a careful update for one of its most successful smartphones in the market today. The E72 will succeed the Nokia E71 with a handful of hardware and software upgrades, while keeping most of the design and overall characteristics of its predecessor. There is no need to fix what isn’t broken. Nokia E71 is still considered one of the best smartphone choices for those who don’t want an iPhone or Blackberry, but amid the launches of countless new contenders, its features are beginning to look a bit dated. The new E72, expected to roll out late in the third quarter of this year in Europe (and apparently soon thereafter in the U.S.), does not mess with the E71’s key assets and simply focuses on feature upgrades and slight design improvements. On the hardware side, Nokia added a 5 megapixel camera as well as a standard 3.5mm audio jack. On the software side, there is the desktop-like email integration from the higher-end E75 model as well as a new optical navigation key. Nokia said it also improved access to instant messaging, enabling users to set up IM accounts right from the home screen. Navigation has also been enhanced with A-GPS and a compass, which can be used by users for walking navigation (free for the lifetime of the device) as well as turn-by-turn navigation, which is offered for free for 10 days during the first three months after activation of the device. The office capabilities have been updated with a new version of Quickoffice, which delivers Microsoft Office 2007 compatibility, Nokia said. The company said that the device will be offered for 350 Euros and we would expect the price of the U.S. device to be in line with the current E71, which sells for $359. AT&T currently offers a subsidized version, the E71x, for $100 with a 2-year service contract. A Father’s Day classic gift that never fails: Tivoli Audio SongBook AM/FM Alarm Clock Travel Radio! This year you can’t fail! Your mission for Father Day’s gift is a tough one but we’re here to help you: meet the Tivoli Audio SongBook . The Tivoli Audio SongBook is a wonderful personal travel radio that you can take anywhere, including on international trips. 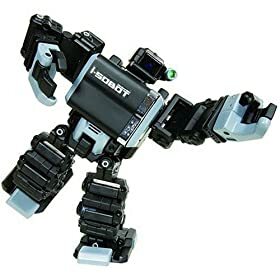 Although it only has a single 2-1/2-inch mono speaker, it produces a very nice sound, and you can use the stereo headphone jack for private listening. What is most impressive about this personal radio is its reception. The Tivoli Audio SongBook has advanced filters that isolate the FM signal to produce a very clean sound, and it even has the ability to tune to AM frequencies used abroad. Simply flip the 9k switch to listen to international AM broadcasts (assuming you are within range, of course). There are presets for five stations. The Tivoli Audio SongBook is water-resistant, which helps protect it from both the weather and from dirt and dust that could harm a personal radio of lesser construction. You can use the SongBook as an alarm clock, as it includes a sleep feature and the option of waking to the radio or an alarm tone. In fact, via the SongBook’s auxiliary input, you can even wake to music from your iPod. The Tivoli Audio SongBook comes in multiple colors, including yellow, blue, silver, green, white and black. This personal radio uses six AA batteries. There is also an AC plug input for use while traveling, and an AC adapter is included. Don’t forget that the Tivoli Audio SongBook sports an AUX in (auxiliary input) comes in handy when you want to connect any audio source, especially an iPod! The candy flash drive? Emtec M300 2 GB USB Flash Drive Red Lollipop! Forget those flash drives with so dull not even your granma would take them around! Check these EMTEC M300 2 GB Lollipops (and show’em to your granma too!). EMTEC M300 2 GB Flash Drives feature a whimsical swirl design available in five fun colors. Each Lollipop drive comes with a cap holder, attachable to the drive with a small, beaded chain, so you will never lose the cap! Lollipop USB Drives are fun, functional, and make the perfect gift. EMTEC M300 2 GB drives are available 2GB to 8GB capacities and the rubber lollipop caps are available in shades of red, orange, yellow, blue and green. With a 54% off, the price is now US $ 12.99 for the 2GB version. Daddy, I got the iPod, cell phone and PDA well organized (and charging)! Ok, it’s not just for Dad, it’s not just because it’s getting closer to Father’s Day. It’s just because, getting all this stuff in order sometimes it’s a do-or-die situation! These two gifts help solving happily two problems at once: getting things in order and charging them as well! Take Mark Feldstein VL8 Charging Valet , for example. The VL8 Charging Valet has built-in power strip with surge protection so you can plug in 3 devices at the same time and have an uncluttered desk (Daddy too, can)! 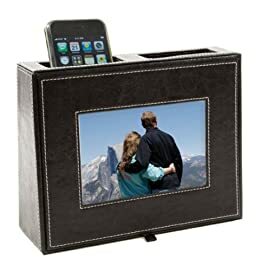 What about keeping your PDA or MP3 player charging quite hidden behind a photo frame? Kangaroom Charger Frame just does that: this trendy charger station rounds up an otherwise cluttered assortment of personal electronic devices, allowing them to recharge in organized style. The versatile unit provides two protective sling-style charging slots that accommodate a variety of small equipment–everything from cell phones and PDAs to MP3 players, digital cameras, and more–as well as an opening in the back that allows cords to connect to a power source while remaining neatly concealed. A powerful HP Printer trio: all-in-one, capable, reliable and… now affordable too! What we really hate are cluttered printed pages, messy printer setup and sluggish feature set from Home- and Office- all-in-one printers. Here are three multipurpose printers - one B/W laser, one color InkJet, one color laser - that may fit everyone’s need about small business printing. They scan, fax and, of course, print! By the way, they’re all from HP, they’re all compatible with any PC or Mac you may have around on your desk and they all come with substantial savings so you’ll be printing more spending less! The HP Laserjet M1319F Multifunction Printer (MFP) will print, fax, copy, and scan, and it does it fast and efficiently. HP’s Instant-on Technology gets this MFP ready to go within seconds of turning it on, and its solid feature-set will help take your office productivity to the next level. The HP Laserjet M1319F prints and copies black and white documents fast at speeds up to 19 pages per minute (ppm). Create professional-looking 1200 x 1200 dpi B&W documents with ease, and use the manual duplex printing feature to print on both sides of the paper. Scan documents into your computer in full-color using the M1319f at resolutions as high as 19,200 dpi for superior image quality – even when enlarging the image. Fax at lighting-fast speeds as fast as 3 seconds per page, and the 32 MB of on-board memory will store up to 120 numbers for added convenience. The HP Laserjet M1319F can handle its fair share of paper with ease. This MFP comes equipped with a 250-sheet input paper tray, 10-sheet priority tray, and 30-sheet automatic document feeder (ADF). This Energy Star qualified all-in-one can also handle a heavy workload of up to 8,000 pages per month. Check the very latest price! If you’re looking for a single device that prints, faxes, copies, and scans, the HP Photosmart C7280 All-in-One Printer, Scanner, and Copier is your answer. 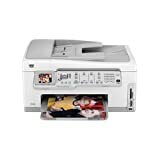 The printer has a built-in 2.4-inch display you can use to easily print photos without a PC: Simply put your memory card into the memory card slot (compatible with Secure Digital/MultiMediaCard, CompactFlash, Memory Stick, Memory Stick Duo, xD-Picture Card), preview it on the display, and print. Enhancing your photos and removing red eye is as simple as pushing the HP Red-eye Removal button. The HP Photosmart C7280 produces lab-quality, fade-resistant photo prints by using a six-ink color system for accurate color reproduction. Photos will always print on the correct side of the paper with the right quality settings because of HP Auto Sense technology. And coupled with HP Advanced Photo Paper, the C6280 is sure to produce photos that are smudge and smear-resistant right from the printer. Print speed is outstanding as well, at up to 34 ppm black and 33 ppm color. For those looking to save paper, an included duplexer lets you print on both sides of the paper. Sharing the printer with everyone on your network is simple with both built-in wireless and Ethernet connectivity. The fax functionality is performed by a 33.6 Kbps modem at speeds up to three seconds per page. 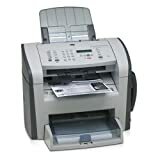 The built-in memory can hold up to 90 pages and the fax is capable of color faxing, delayed sending, and auto-redialing with a maximum of 48 broadcasting locations. The scanner uses a Contact Image Scanner (CIS) for scans at up to 4800 dpi optical resolution with a scan size of up to 8.6 by 11.7 inches. The copier supports pages up to this size as well and you can make up to 50 copies in one pass. Color copies are supported and there are settings for enlarging and reducing from 50 to 400 percent. HP Photosmart C7280 supports Windows 2000, Windows ME, Windows XP Home and Professional, and Windows Vista as well as Mac OS X 10.3.9 and 10.4.x. Built on HP’s scalable printing technology, the HP Officejet Pro L7680 offers faster speeds, lower costs, and higher quality and reliability. Leveraging HP’s high-capacity, low cost-per-page print Vivera ink cartridges–which are uniquely optimized for plain paper office printing–the HP Officejet L7680 provides laser-quality text and consistent, brilliant images for brochures and marketing collateral. For even better results, and highly smear-resistant prints, use HP Everyday Papers with ColorLok Technology. 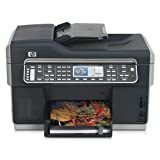 Produce professional-quality documents and bring color speeds and proven HP performance into your home or small office. Print at up to 35 pages per minute (ppm) black-and-white and up to 34 ppm color. Conveniently and efficiently create high-impact documents with laser quality speeds of up to 10 ppm color and up to 12 ppm black-and-white text. With the HP Officejet Pro L7680 All-in-One you’ll spend less for a professional business color printer. Create color presentation materials, brochures, graphics, and color text for up to a 25 percent lower cost per page than laser all-in-ones–as low as 6 cents per color page and 1.5 cents per black-and-white page. You’ll also save ink and money since HP Vivera ink cartridges are designed for efficient ink usage. Print up to 2,450 black-and-white pages or up to 1,700 color pages before replacing your HP high-capacity ink cartridges. Boost convenience for everyone in your office by sharing your HP Officejet All-in-One with up to 15 computers, thanks to built-in wired and wireless networking. Rely on enhanced faxing to keep you in touch. With memory for up to 125 pages, you will never miss a fax, even if you run out of paper or ink—or if the power is off. You can also scan documents at up to 2400 dpi CCD optical resolution flatbed scanning into convenient digital files you can easily store, reprint, and share. With Direct Digital Filing, manage and route your documents quickly and easily without a PC. Innovative HP technologies let you scan, share, and archive your work without a PC or software using Direct Digital Filing. Scan your documents and photos directly to memory cards, USB storage devices, or a network folder from your All-in-One’s control panel. Your scanned documents can be saved as a JPG or a PDF for maximum flexibility in sharing. Simply scan documents to a folder from your control panel–without the need of any special software or a PC. By converting your paper-based documents to a digital format and become more productive and less cluttered. The built in wired networking allows user to share powerful all in one capabilities. You are currently browsing the SourceCrowd.com weblog archives for June, 2009.